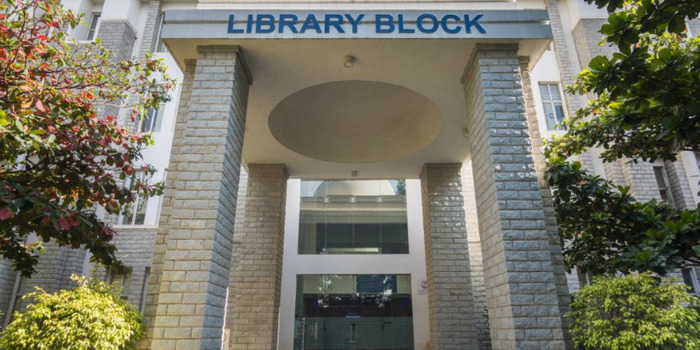 REVA CLAT 2019 – REVA University will conduct REVA CLAT 2019 on April 28, 2019 for admissions into the undergraduate law programmes. The university level law examination will be conducted in online mode offering admissions into the BA LLB and BBA LLB law programmes. Candidates will be required to appear in the law examination to be held in the university campus itself. By appearing in REVA University Common Law Admission Test, candidates will secure a seat for themselves in the REVA University. Aspirants will be able to fill the available application form in online mode as it is available now. After the end of the application form, candidates will get access of the admit card of REVA CLAT 2019 to appear in the law examination. The undergraduate law programme will consist of 100 questions of objective nature carrying one mark each which means the paper would be of 100 marks. To attempt this law examination, candidates will be give two hours time. REVA CLAT 2019 will have multiple choice questions where candidates will be given four options out of which candidates will be required to mark any one correct option. For more information, candidates will be required to read the complete article given below. REVA University has commenced its admission process with the issue of exam notification with the commencement of the application process on November 26, 2018. With the end of application form on April 15, 2019, candidates will be issued their admit cards on April 20, 2019. After getting the access of the admit card, candidates appear in the law examination on April 28, 2019. Candidates get their result after qualifying the law examination on May 8, 2019 followed by the counselling procedure. Candidates having a qualifying degree from Open School will not be considered eligible for REVA CLAT 2019. Candidates holding professional degree certificates or Diploma programmes are not eligible to apply in REVA CLAT 2019. REVA University has announced the application form of REVA CLAT 2019 on November 26, 2018. REVA CLAT 2019 Application Form will be available for the candidates in both offline and online mode. Candidates will be required to enter all the details like the name, date of birth, e-mail id and mobile number accurately. After filling the required details, a validation link will be send to candidate’s email id enabling them to start filling the REVA CLAT Application Form 2019. After successfully filling the application form, candidates will be required to remit Rs 1000 (Indian candidates), Rs 2000 (NRI candidates) and US$50 (other foreign national applicants) as application fees via DD mode or Net Banking as the application fee which will lead to successful submission of the REVA CLAT 2019 Application Form by the third week of April 2019. REVA University will issue the admit card of REVA CLAT 2019 on April 20, 2019 for the law aspirants. Candidates will get access of the REVA CLAT 2019 Admit card in online mode by logging into the registered accounts. REVA CLAT Admit Card 2019 needs to be considered as an important document by the candidates as it is the hall ticket to appear in the law examination and also as it mentions all the important details like the name of the candidates, examination date, roll number, exam duration besides timing and venue. It should also be noted that no candidate will be allowed to enter the examination hall in absence of the admit card of REVA CLAT 2019. REVA University has announced the exam pattern of REVA CLAT along with the application form. As per the REVA CLAT 2019 Exam Pattern, candidates will be tested on 100 objective type questions of one mark each. The topics on which the candidates will be tested on would be related to Logical Aptitude and Reasoning, English Comprehension, General Knowledge and Legal Aptitude. REVA University will announce the REVA CLAT 2019 Result on May 8, 2019 which will be available in offine mode. Candidates would be able to check their scores and qualifying status at the notice board of the university. The result of REVA CLAT 2019 will mention all the important documents namely – Name of the test taker, qualifying status, marks obtained and roll number of the candidate. After the declaration of the result of REVA CLAT 2019, candidates who qualified REVA CLAT will be shortlisted for Group Discussion and Personal Interview. Candidates who qualify the GD-PI conducted will be called for counselling procedure to be conducted in the month of May 2019. Your REVA University Entrance Exam brochure has been successfully mailed to your registered email id .